Potential API response errors (e.g. server errors) are now gracefully & descriptively emitted by instances of AmatinoError. 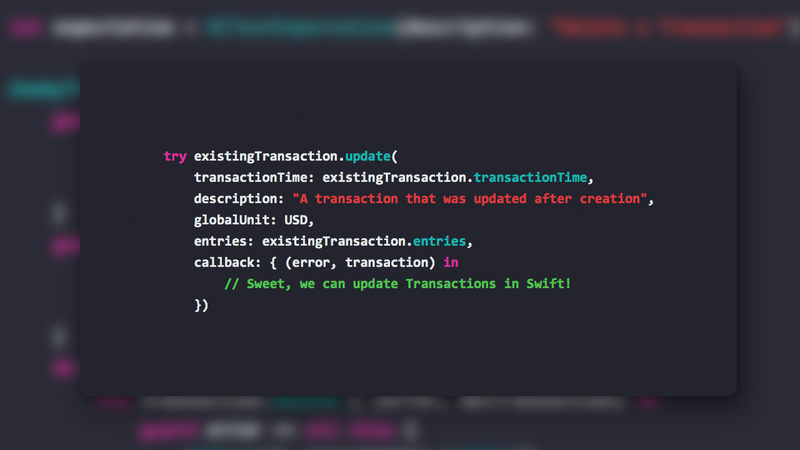 Before 0.0.6, errors thrown by Amatino Swift were an absolute mess. 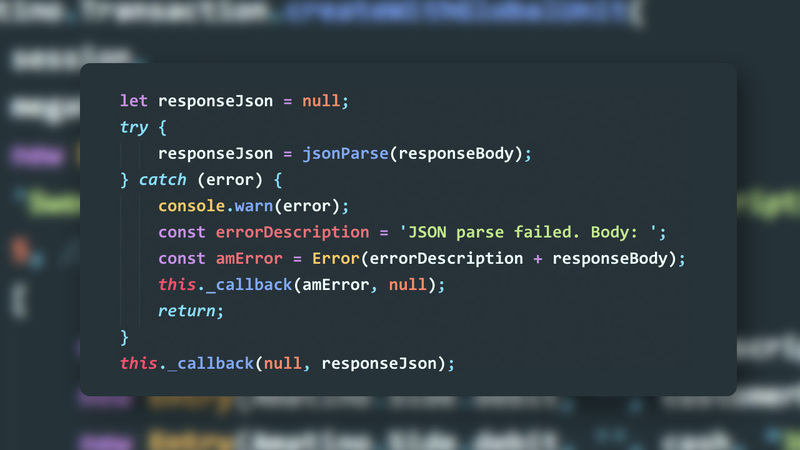 There was AmatinoObjectError, ConstraintError, ResponseError, and even just plain old Error. 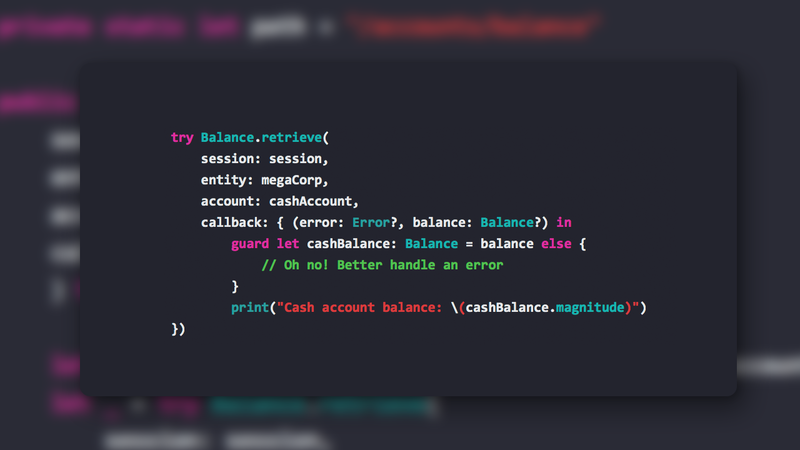 Now, you can be sure that any error thrown by Amatino Swift will be of type AmatinoError. AmatinoError provides an enum, Kind, off of which you can switch via AmatinoError.kind. For example, a Transaction.retrieve() request might yield a .notFound case when the Amatino API returns 404. You can get a verbose String description of an error by examining the AmatinoError.message property. Some objects, such as Transaction, provide a superclass of AmatinoError called ConstraintError, which provides more detailed information about input constraint violations. 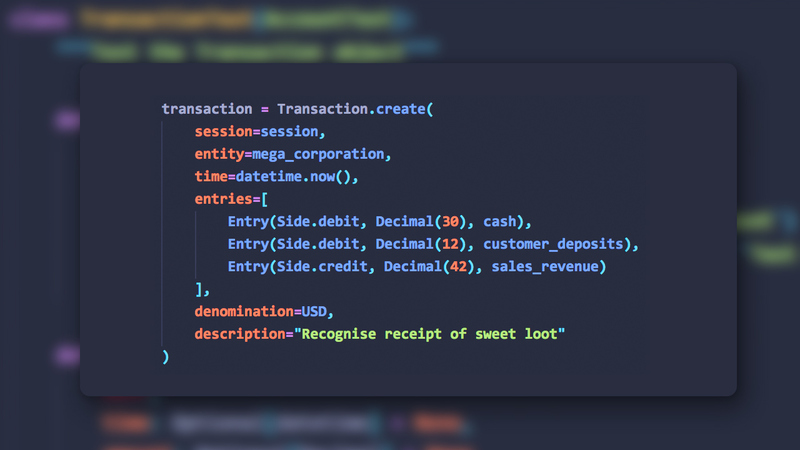 For example, when you supply Transaction.create() with a description that is too long. You can still handled these more verbose ConstraintError cases with a plain AmatinoError handler, as AmatinoError will flag them with the .constraintViolated case. Many Amatino Swift classes depend on a variety of ancillary structs to perform their work. For example, Transaction uses CreateArguments and UpdateArguments, as well as several internal types. These types were previously in their own files. This arrangement was causing the Amatino Swift project to be a bit jumbled. Code completion when typing the start of an object name was also getting crowded. So, as a matter of preference, I’ve been moving all ancillary types into their relevant classes. For example, TransactionCreateArguments has become Transaction.CreateArguments. This process started in 0.0.5, and is ongoing in 0.0.6. There are a few cases of the old style left, which I’ll probably get to in 0.0.7. 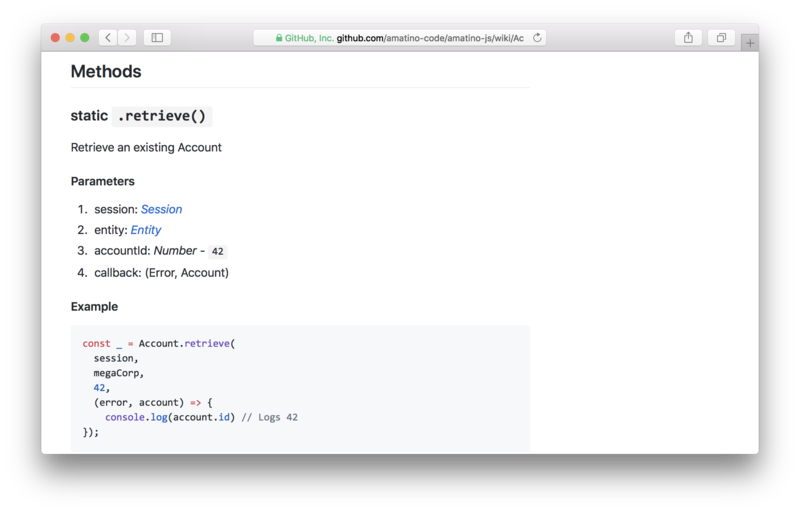 These features build on v0.0.2’s progress toward making Amatino Swift easy to use. 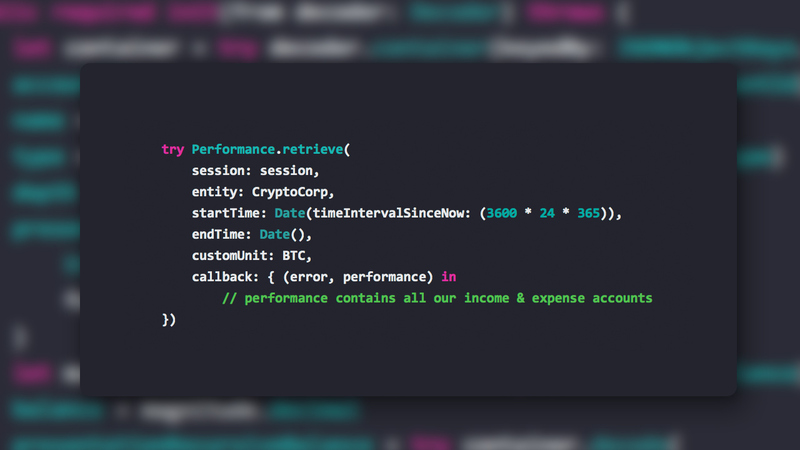 Where in the past you would need to manually encode and decode Data responses via the AmatinoAlpha class, you now have more expressive, clean, and simple syntax at your disposal. Balance and RecursiveBalance allow you to retrieve the balance of a particular account. In practice, that means the total of all debits & credits party to that account. A ‘recursive’ balance totals debits and credits for the target account, and any child accounts. Balances can be retrieved for any combination of date and denomination. For example, you might have an account denominated in U.S. Dollars, but be interested in retrieving its balance in Euros. You can already create single Transactions using Transaction.create(). createMany()allows you to create up to ten Transactions in a single request. This dramatically reduces the round-trip latency suffered when you have more than one Transaction to insert. I’m in the process of creating Carthage and Cocoapods distributions for Amatino Swift. In the mean time, compiled libraries are available on GitHub. 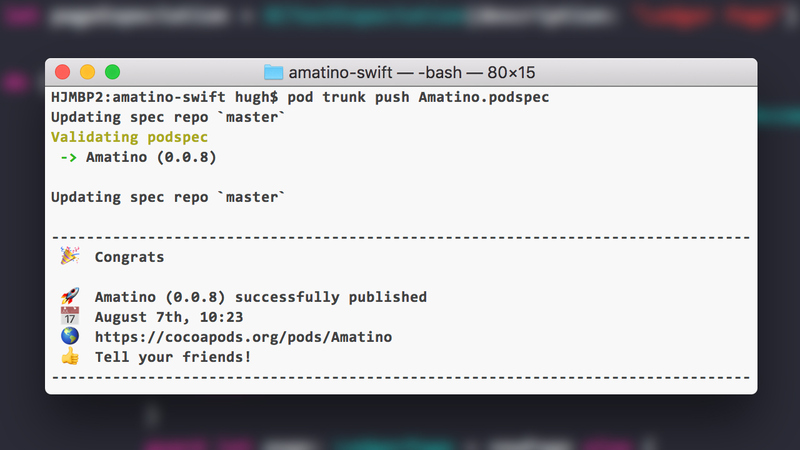 You are also most welcome to clone the repo and compile Amatino Swift yourself. Many objects specified in the Amatino API HTTP documentation are not yet available in Amatino Swift. For example, account Ledgers. Further, available objects are missing some critical methods, like Transaction.delete(). Look out for v0.0.4 and onwards to add yet more capability to Amatino Swift. 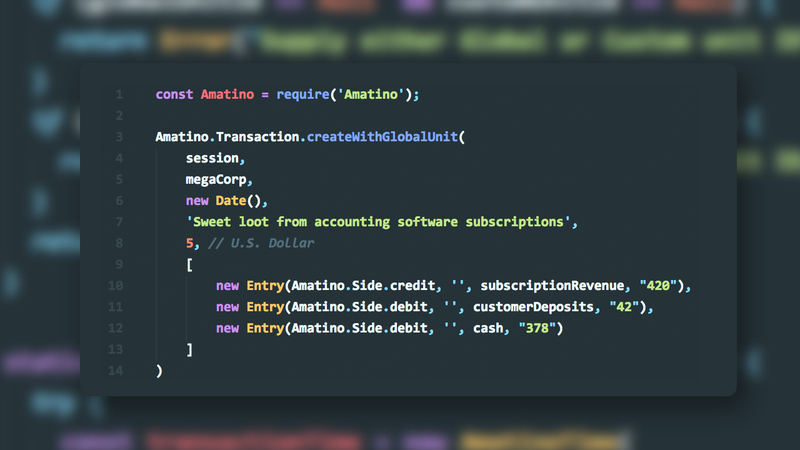 Let me know how you want Amatino Swift to develop on Twitter or on the forums. Sign up to the Development Newsletter to be notified when new versions of Amatino Swift are available.